Do you love Thai food as much as we do? Well here at Red Letter Days, we don’t just talk the talk, we wok the wok! 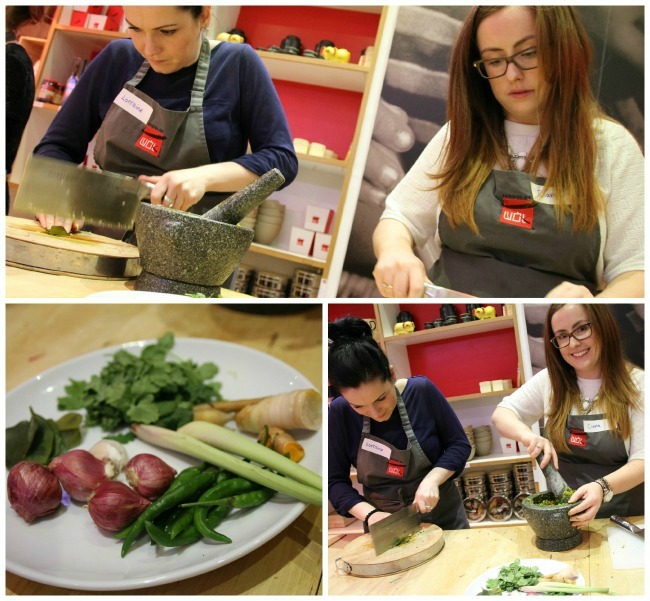 A few weeks ago, we sent our colleagues Lorraine and Ciana to try a Thai Cookery Class at the School of Wok, who offer award-winning cookery classes in London’s Covent Garden. Read on to find out how they got on! 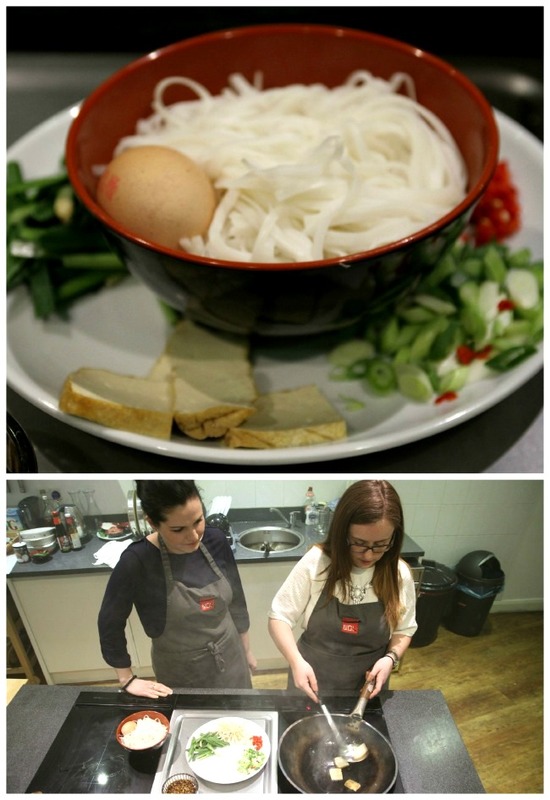 Ciana tells us “School of Wok has a gorgeous, clean and modern kitchen right in the heart of Covent Garden. The staff were really welcoming when we arrived – we felt at home right away. 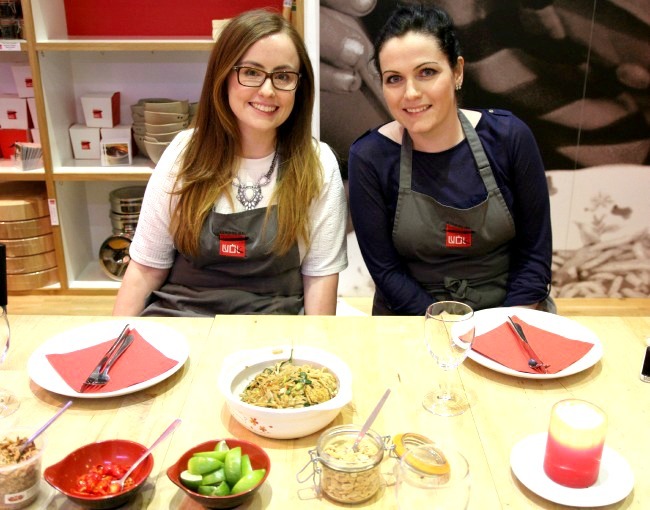 I love to eat Thai food, so to learn how to recreate those intense, aromatic flavours was a real treat. All the ingredients they use had been bought fresh from Chinatown that day and we were split into pairs to get chopping. We made green curry paste from scratch and it was fascinating to see how many ingredients it has! Everything was finely chopped and then crushed in a pestle and mortar which was loads of fun. I’m vegetarian and the school were more than happy to accommodate that, helping us to create vegetarian options for each dish we made. We made Thai green curry (pork and veggie), Pad Thai (chicken and veggie) and spring rolls (again, pork and veggie). We even used mushroom sauce as an alternative to oyster, I was really impressed. Everything smelled wonderful and it was exciting to be in the buzzing kitchen with things sizzling away. We also learned a few tips we can use again – for instance banana to seal the spring rolls – I certainly wouldn’t have guessed that! What cuisine would you like to learn about?